There have been recent downgrades of Belize’s credit rating by two U.S.-based financial-services agencies, that’s Moody’s Investors Service and Standard and Poor’s. The latest demotion came last week from S&P. The news is a blow to the already weak economy and may have been lost in debate on the ninth amendment. S&P says that the downgrade from B to B minus results from the spike in the national debt resulting from government’s acquisition of B.E.L. on June twentieth. Borrowing will now be most costly, not only for government but also for huge private businesses, and there are bound to be tough days ahead for the investment climate. News Five spoke with Israel Marin of the Chamber of Commerce about the economic prospects. Of course if a Belize private company wants international financing, you would setup an international structure from a prime jurisdiction to access better interest rates. Mr. Pi, I think you are really a dumb person to be talking for BCCI. It would be better that you atleast go back to school and do your best to learn how to conduct international business and financing before you open your mouth to spit on the government. The BCCI should not be doing the job of the PUP and let the PUP do that by themselves. We are not happy with the UDP and we are still extremely angry with the PUP. First, let me say that it was this same S&P that gave good rating to LEHMANNS and AIG and other Wall Street Companies that in the end failed and which are partially to blame for the USA recession. So much for S&P credibility. For Barrow it must be bad news, but for Belizeans it is GOOD. The farther away the cookie jar is kept from Barrow the better it is for Belizeans because this Barrow is addicted to spending what is not his. Chance, you all need to stop take criticism so seriously and stop answer the same old boring response to legitimate points brought up. I hate when you dont make a point UDP wants you to make and they end up calling you PUP, ignorant, crazy, tell me you ! @$% @$$! are you more educated that you know the credit ratings of someone doesnt affect their risk assessment and loan structure? You brought down your govern. and brought down PUP even more…so if you re so educated where is the solution..? Good one Lucas, lets keep the cookie jar far..
S&P has no credibility. Their analysis rating of the investment banks that caused the mortgage crash was stellar, yet those banks failed. These same failures led to global recession and now S&P will downgrade the US and other countries rating, WTF??? Barbados told them to go jump in the lake and we should do the same. The Country rating has no effect on Belize’s ability to borrow, as we are not borrowing on the bond market like we did in the past. A lower bond rating leads to a lower bond price in the secondary market, and if anything, this is an opportunity for us to refinance favorably by buying back our bonds at a lower price. Any private company that is seeking private foreign financing will be assessed based on the security of the collateral and the payback ability of the business; country risk is not assessed based on S&P rating, that rating will only affect bond offering, which is not a means of fundraising used by any company in Belize. Com’n Pi! THIS CAN BE PLACED SQUARELY ON THE HEAD OF THE P.M…………. Mr. Belizean, I gave a solution. That is, International Financing in conjunction with International business structure if Mr. Pi’s concern is about the S&P credit rating towards a Belizean entity. 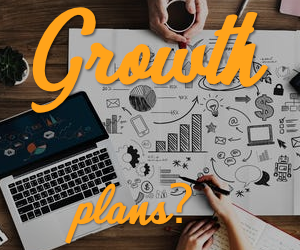 There are many ways to negotiate and establish international business structures if you want to access better rates for any project. 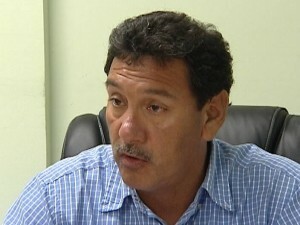 So are you agreeing that once S&P downgrade Belize’s credit rating, it is doomsday for Belize? Belize is a small country and sadly politics runs things here and Mr. Pi is coming from a political point of view without saying it. Get it, got it? It is about politics and the BCCI should let the PUP do their job and stay away from politics. Everything coming from the BCCI right now will look political even if that is not the case.